Edwards withdrew his lawsuit "with prejudice," meaning he cannot refile it, after questions were raised about the veracity of his charges. Yesterday, however, victim advocates and Edwards's new attorney said that they do not doubt his accusations, and that the existence of another lawsuit against Cummings only reinforces their faith in the credibility of the 35-year-old Edwards. "I believe Paul's allegation against Father Cummings, without reservation," Carmen L. Durso, who is Edwards's lawyer, said in an interview, noting that Edwards told at least two people about the alleged molestation by Cummings more than a decade ago. "The fact that there is a second allegation against Cummings certainly adds to [Edwards's] credibility." Advocates for victims said the existence of the second lawsuit is reason enough for the archdiocese to reopen its investigation of Foster, who is the archdiocese's chief canon lawyer. "Paul never had any less evidence that he was abused than any other victim," said Ann Hagan Webb, the co-coordinator of the New England chapter of the Survivors Network of Those Abused by Priests. "The allegations by Paul Edwards against Monsignor Foster should stand or fall on their own, regardless of allegations against another priest, whether they were made by Paul Edwards or anyone else," Coyne said. Coyne said the church's investigation into the allegation against Foster determined that the accusation was not credible. Ellen Martin, an attorney for Foster, said in a statement last night that a thorough church investigation has found the allegations against Foster to be unsubstantiated. 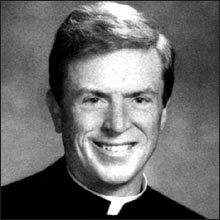 "However packaged, the allegations against Monsignor Foster are false and must end. How much more must Father Mike endure?" Martin said. Webb, who heads the SNAP group and is also a psychologist, said yesterday that she is "leery" of many of the challenges to Edwards's personal credibility. "We have to remember that many survivors of abuse are very troubled. That is often the result of what happened to them, instead of evidence that you cannot believe them," she said.